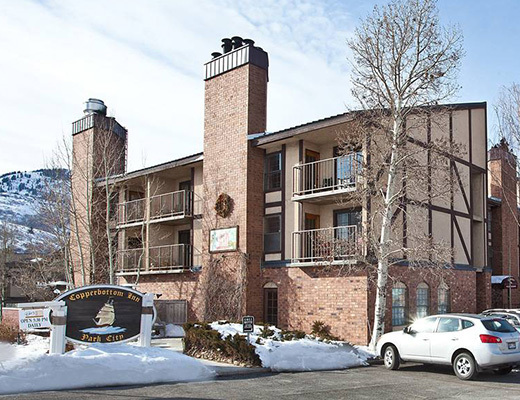 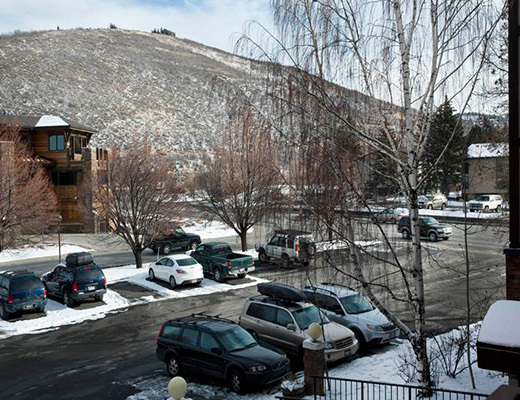 Conveniently located on the free shuttle route and a mere three blocks from Park City Ski Resort, this condominium complex boasts comfortable vacation rentals with great amenities. 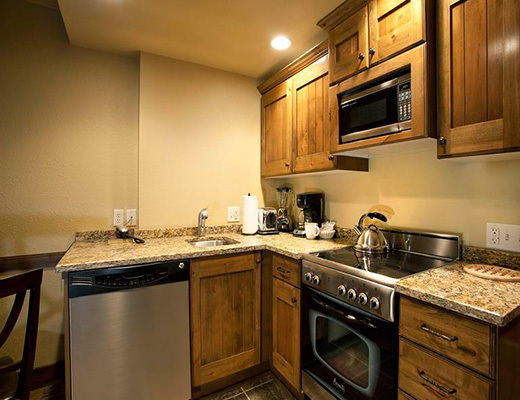 Guests are sure to enjoy the onsite fine dining of Chez Betty, an award-winning highly acclaimed restaurant, as well as the common dry sauna. 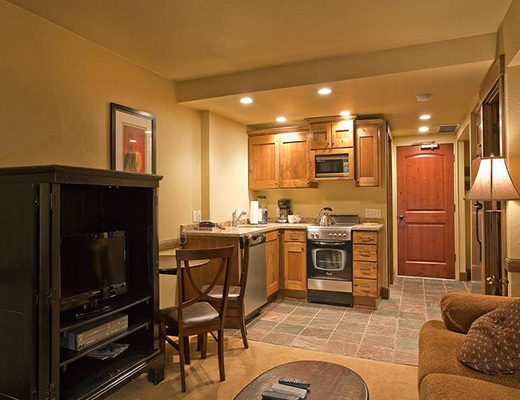 This lovely suite offers many upgraded features including granite countertops and stainless steel appliances. 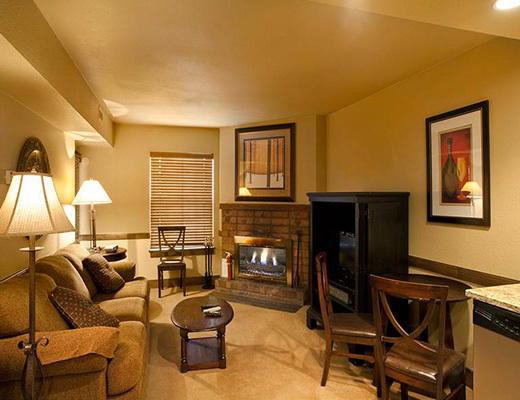 With relaxed furnishings and a cozy dÃ©cor, this one bedroom gold-rated property provides all the comforts of home. 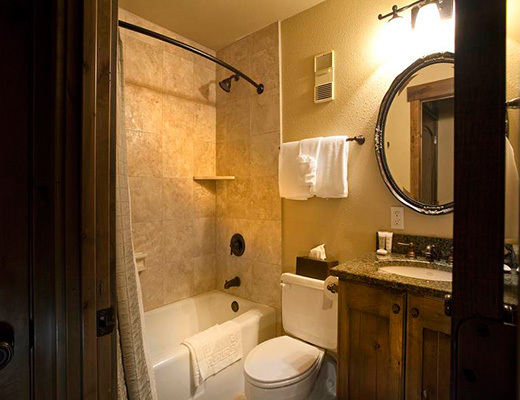 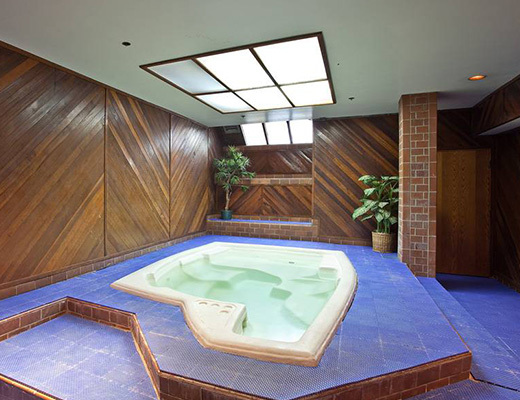 A brick fireplace, two beautifully tiled bathrooms and a King sized bed round out the list of attractive details. 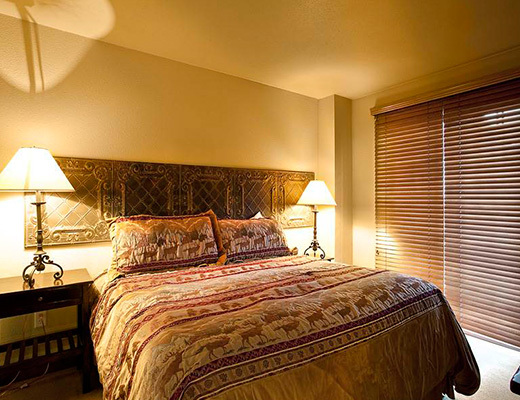 Lodging accommodations are suitable for as many as four guests.